Nicole Maines as Supergirl’s Dreamer. The CW’s interconnected Arrowverse is home to a wide variety of superhero costumes that range from being “functional, but kinda tacky” to “impractical, but nifty to look at in a comic book-y way.” Few of them can truly said to be damn-near perfect (because, even though Thunder’s costume is choice, Black Lightning technically isn’t an Arrowverse show), but there’s a new contender in the running. 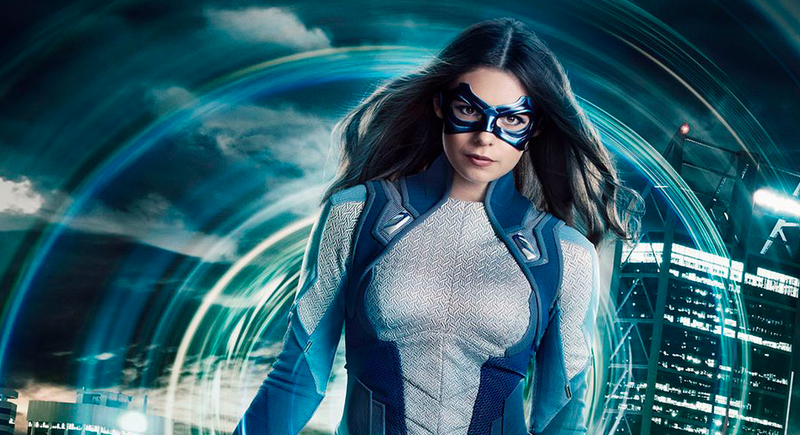 Today, the CW released the first official images of Nicole Maines in costume as Dreamer, the superhero persona of precognitive Nia Nal, and suffice to say that she’s got some of the Arrowverse’s best duds to date. Bodysuits are pretty much a given for any live-action superhero show, but Supergirl’s interpretation of Dreamer’s classic attire (a basic silver bathing suit, gloves, and boots) carries over much of the comics’ design language and smartly updates it to be equal parts stylish and practical. Dreamer’s set to make her first Supergirl appearance on January 27.